It was Hernandez's first time back on the mound since being struck by a line drive on February 26. PEORIA, Ariz. — Well, at least this time there was no chance of a hitter sending a rocket back at him. Kidding aside, Felix Hernandez and the Mariners needed Tuesday to go without hiccups, hangups or even hangnails for the sake of their injury-plagued starting rotation. 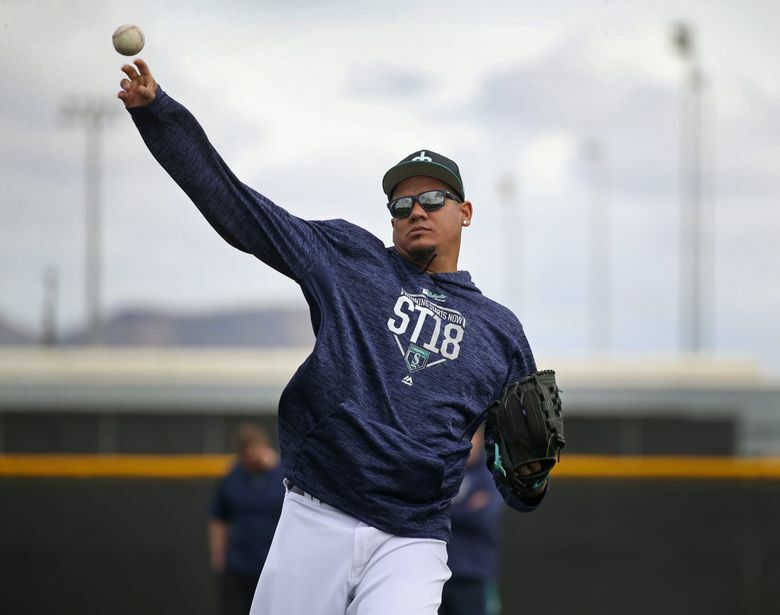 For the first time since taking a line drive off his right upper forearm on Feb. 26 against the Cubs, Felix Hernandez stepped back on a pitcher’s mound. With a black compression sleeve covering forearm and bicep, Hernandez threw more than 20 pitches with an intensity and focus that was atypical of him at this point in spring. He was more game-like in his demeanor. Hernandez kept his overall effort level on his pitches controlled. Hernandez felt so good that he even worked his curveball and changeup. The initial plan was for it to be all fastballs. So what’s next for Hernandez? If he was able to follow that schedule, Hernandez could return to game action on either Saturday or Sunday. If it were on Saturday, he would be lined up to make three starts before the team leaves for Seattle and opening day. But making three starts would also not let him start on opening day, something he still craves. He noted that past throwing schedules for spring training put him at making his first game appearance around this time. Servais was asked about naming an opening day starter again on Tuesday. He said he’s still mulling over the decision. But it seems as though James Paxton, as long as he remains healthy, would be the logical choice with Hernandez’s status still uncertain. The Mariners could take advantage of the odd Friday offday after opening day and start Mike Leake on Saturday night and Hernandez on Sunday in the series finale vs. the Indians.